In the midst of the wine dark sea stands a great jungle island where few mainlanders travel. It is a land of canopy forests, great mountains, and a hanging mist that obscures the ground from aerial view. Landing on the white beaches and venturing in-land is a hostile proposition. Partly from the great thunder lizards that crash through the jungle, partly because such explorers are not alone when it comes to humanoids. Standing upon their hillside cities, clad in armors of hide and scale, are the apemen of Isle Gaboria, the Gaborians. Description: Gaborians (as they are known through mainland colonists) are a race of bipedal apes that stand at least as tall as orcs of bugbears (over 6 feet tall and higher). The fur that covers their body ranges from black to a dark red, with several members having a silver streak on either the stomach or backside. They are an isolate race that often takes great pains to avoiding contact with mainlanders. Though reports have varied between different groups- sometimes helping stranded travelers, sometimes attacking caravans. Communication due to sparse contact with the race, though a few local gaborians have made an effort to speak common and work with colonists as guides- these guides however are reluctant to teach the gaborian ape-tongue to the foreign travelers. Restrictions: Gaborians have a varied career choice that includes Fighter, Magic-User, Druid, Ranger, and Cleric. Due to size and their culture, Gaborians rarely see any thieves produced, not that thievery doesn't exist in their culture, rather this type of thievery is isolated and does not lead to the establishment of thieves guilds. Special Abilities: Gaborians have a type an almost preternatural stealth when in an jungle environment. When standing still, Gaborians have only a 20% chance of being detected. They also gain a +10% bonus to any survival checks made in a jungle environment. Due to their size and hardy nature they gain a +4 Bonus versus Death Ray or Poison. If you would like to include the Carven in your races document, that would be all right with me. If you want to keep it to the ones you already have in there, or create yourself, that's fine too. Just offering. Since you already have it finished into a Supplement, I think it can stay that way. My recent posts are just highlighting some other ideas that are appearing elsewhere. While I got permission to do some copy/paste to our forums, I do not currently have permission to copy into one of my supplements (for this individual). Should I get fully back into the swing of things and make a direct effort of updating all my various supplements, then I shall consider checking further into importing more ideas. 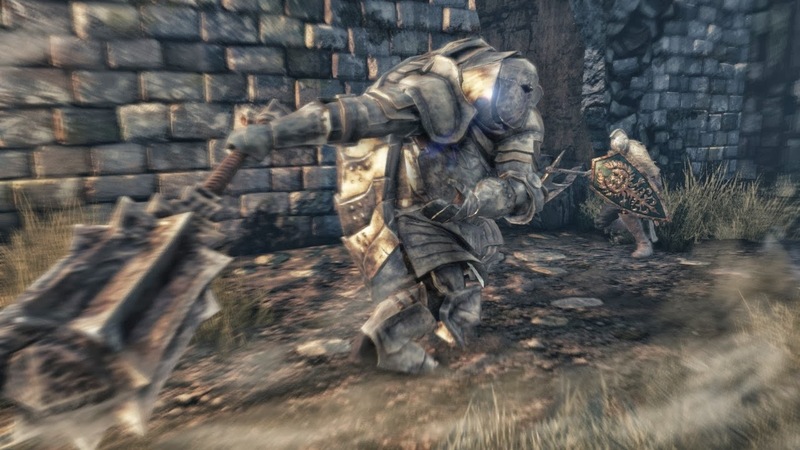 Gotta question about Kappa, namely ones that go through the trouble of getting a suit of armor made for them, how does one take in account the AC values of both the shell (front and rear) and the protection afforded by the armor? I mean you could go the simple route and say the Kappa gets the better of the armors saves and be done with it, but if say they wore a suit of plate mail over their shell, then took an arrow in the back from a roll of 18, (Natural armor value of Kappa's shell is 17 if they are hit from behind, 13 from the front) wouldn't the shell underneath still offer protection? I'd think the combination of two 17 ACs stacked together would make them pretty much invulnerable from behind from anything short of magic or siege weaponry, even then I can see them tanking a ballista bolt with a fair chance of stopping it. This would be balanced by the increased cost of their armor, which while not stated I would wager is at least twice as expensive, if not more. JakeCWolf wrote: Gotta question about Kappa, namely ones that go through the trouble of getting a suit of armor made for them, how does one take in account the AC values of both the shell (front and rear) and the protection afforded by the armor? I would think that having the armor customized for their race would be the removal of the back armor to allow for the shell to protrude. Reduce the weight of the armor to reflect the less material used but increase the cost to reflect the rework of the armor to function for their race. That would allow their front armor to be the AC 18 (your plate example) with the back of them being 17 due to their natural shell. Yes, a few of the supplements that I have produced have newer releases available in the Showcase area or simply in their accompanying thread. I feel like the newer releases are generally improvements on the ideas, but there is nothing inherently wrong with the original releases for what they are. I did not even keep the Kappa name intact... now Chelonian. I had someone who was really into Japanese lore note differences between what I put out and the traditional myth... so I changed the name. That would make sense, but I had the idea for a sect of Kappa (Chelonian) warriors who purposefully armor their shells as well, despite the added weight and slowness and trudge into battle as juggernauts crushing any who stand in their way with massive two handed Great Maces. I was inspired by the Ironclad Soldiers in Dark Souls II, as a matter of fact, here is what they look like. In fact the order's name is called the Ironclad Knights in homage to them. Also, might I ask, was the name change also partially due to the fact Kappa can be this kind of kappa? It was very forward thinking of you to change the name to be more in line with the true origin of the creatures, as mythology tends to get skewed and reinterpreted numerous times over the centuries. I'm using the Phaerim - my daughter is very keen on having a winged Elf/Faerie character in our D&D adventures! Exactly the same reason I wrote this race... for my daughter. Hope she has fun with this option too.